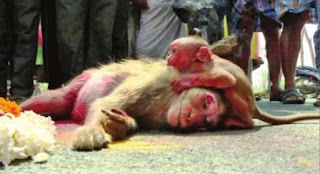 A baby monkey that lost its mother in a road accident made all those who witnessed the scene cry. The baby wept sitting near the body of its mother that was knocked down by a speeding vehicle near Elanthur on the Tamil Nadu-Karnataka National highway on Friday. 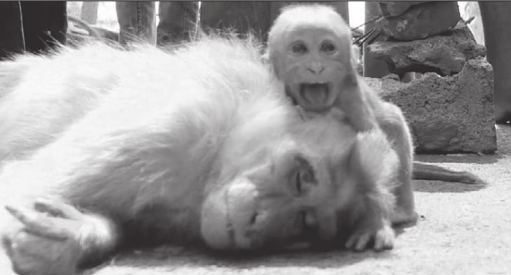 The baby monkey hugged its mother and tried to wake her. Soon, realising that its mother had died, it started to weep. Villagers then took the body to a burial ground and conducted the last rites as the baby watched from a distance.